It can be confusing to tell the difference between a job board and a job search engine, but it's wise to know where the job listings you find online are coming from. Typically, in a cover letter, you'll mention how you found the job posting. 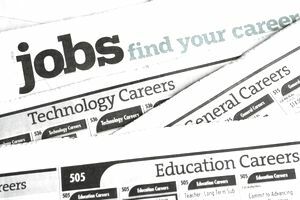 Put simply; a job board is a website that posts jobs supplied by employers, whereas job search engines scour the web and aggregate job listings from job boards and employer websites. With job boards, companies have specifically listed their open positions and often accept job applications directly through the job board. Employers typically pay a fee to the job board to list their jobs on the site – essentially, the site warehouses resumes and sells employers access to them. Monster, the largest and best-known job board, is a general board with postings across a broad range of industries. Indeed offers a wider array of jobs including contract positions, work-at-home opportunities, summer jobs, and volunteer work. CareerBuilder is focused more on people with a bachelor's degree. Other more specialized boards focus on a particular industry. Dice, for example, is a leading site for tech jobs. Career Bank and eFinancial Careers focus on finance and banking. Variety Careers posts media jobs in television, radio, and production. TalentZoo covers advertising and marketing. Very niche-oriented job focus on highly specific careers: a rig engineer would look for work on Rigzone.com; if you're an expert in natural language processing, NLPPeople.com is the job site for you. Other niche boards cater to a segment of the job market like entry-level jobs, summer jobs, or internships. Indeed and SimplyHired are two of the most popular job search engines, and they collect millions of listings on their platforms. (Indeed is both a job search engine and a job board.) LinkUp searches through the websites of small, medium, and large employers without including input from job boards. Niche job search engines, like Green Job Bank or JobsOnTheMenu, collect jobs from various industry or career-specific sites. Also, targeting a broad job search can be difficult. If you search a big company, you might get hundreds, or even thousands, of results. Adding parameters such as location can help narrow the results. If you find an opportunity through a job board, you may have to register on that site, and some even require a fee to join. You may also deal with a lot of spam and advertisements. Also, keep in mind that very few hires happen through job boards. In an article on PBS, employers reported that just 1.3 percent of their hires came from Monster and 1.2 percent through CareerBuilder. To maximize your job search, use both job boards and job search engines along with a variety of sites because no single site searches all job listings. Beyond that, don’t restrict your job search to online sources. The vast majority of hires come through networking. At least 60 percent of all jobs are found this way, and some sources cite even higher statistics. To maximize your chances of finding a job, you’ll love and getting hired for the position, create a multi-prong strategy including niche and general job search engines and job boards and networking. Above all, don’t keep your job search under your hat (even if your current employment situation means that you have to be discrete on social media and at work). Tell everyone you know that you’re looking. Schedule coffee dates with contacts you haven’t seen in a while, and carry business cards in case you run into a connection socially who might have a lead. Set up informational interviews with people who have jobs you want, and ask them how they got where they are today. Remember: the goal isn’t just to get hired. It’s to find a job that’s satisfying, at an employer that’s a good cultural fit, and that pays appropriately for the role and for your skills and experience. To make that happen, you need to take advantage of every resource at your disposal – not just job boards and search engines.